If you've just picked up a Samsung GALAXY Note 3 then you'll want to learn more about the excellent Samsung S Voice feature. We've put together a comprehensive guide so that you can get the most out of your very own personal assistant. 1. What is S Voice? S Voice is Samsung's unique mobile personal assistant, providing you with voice control for many of the functions on your GALAXY device. S Voice allows you to improve the speed of your communications as well as increasing productivity with quick shortcuts to vital settings, all while leaving your hands free to deal with other tasks. For the ultimate Samsung S Voice experience make sure you pick up the GALAXY Note 3 – the world's most powerful smartphone – with its outstanding 5.7-inch Full HD Super AMOLED display, innovative S Pen controls and market-leading 2.3 GHz Quad-Core processor. Activating Samsung S Voice on your GALAXY Note 3 couldn't be simpler. The application comes pre-installed (and deeply integrated) on the smartphone, so all you need to do is double press the home key to launch your very own personal assistant. As soon as you've done this S Voice will be ready and waiting for your command, so just start speaking and your GALAXY Note 3 will be listening. 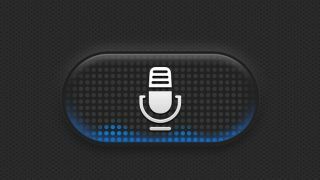 Once you've spoken your first command, you can then give another simply by pressing the microphone on screen or by saying "Hi GALAXY!" S Voice will speak your messages to you, as well as read out information and other types of feedback, but if you need some peace and quiet you can easily silence your personal assistant by tapping the head icon at the bottom of the screen. If you're unsure of what to say, just tap the question mark icon in the right corner and S Voice will display the available commands. For those of you who require access to Samsung S Voice at any given time you can turn on the Wake up command, allowing you to launch the personal assistant without having to double tap the home key – it even works when the GALAXY Note 3 is locked. To enable Wake up, launch the S Voice application, tap the menu, select Settings and then scroll down to the "Wake up" section. Check the Wake up command box and turn the Voice Wake up switch on and you're good to go. This is perfect for those looking to use their GALAXY Note 3 more efficiently, as now it's always ready to go. Samsung S Voice is the perfect tool for drivers, allowing you to communicate with your phone without losing any concentration. S Voice's help starts before you've even entered the car. Load up S Voice and select "Hands-free mode" from the menu or just say "Hands-free mode on" to enter a dedicated S Voice panel specifically tailored to help you when on the road. You can then select to navigate to your destination by speaking a command such as "Navigate to Church Road, Watford" – the GALAXY Note 3 will then launch the turn-by-turn navigation application. Your S Voice personal assistant is still active while the navigation is switched on, allowing you to make a call, send a text, check the weather, create memos or play music from your phone simply by speaking your requests to the handset. As our lives become busier it's harder to keep track of just where we need to be, when events are happening, and what vital food items we need to pick up from the shop on the way home. Luckily Samsung S Voice is on hand, and the personal assistant can help to organise your life and ensure you're always at the right place at the correct time.